Baylor>Robbins College of Health and Human Sciences>Faculty & Staff>Staff Directory>Kim Smith, M.Ed. 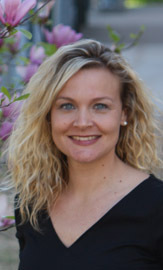 Kimberly Smith joined the Robbins College of Health and Human Sciences by way of the School of Education as HHPR Internship Coordinator in 2012. Prior to working at Baylor, she spent eight years in Waco ISD as a chemistry teacher and then the Secondary Science Specialist for Waco ISD. There, she created and aligned district science curriculum with state standards, created district benchmark assessments and delivered professional development sessions over science content and best practices for teachers at all twelve secondary campuses. Kimberly was also a GEARUP Partner, Region 12 ESC Science Collaborative Partner, Texas A&M AggieSTEM Partner, and Education Foundation Grant Committee Member while with WISD. Following graduation from the Health Science Studies program at Baylor, she completed her personal trainer certification through NASM and worked as a certified personal trainer for 24 Hour Fitness. While completing her Baylor undergrad, she obtained her EMT-B certification and spent two years with Rural/Metro Ambulance part-time during her junior and senior year at Baylor.